Oh your niece is adorable! Duke will get used to her! They will be the best of friends! 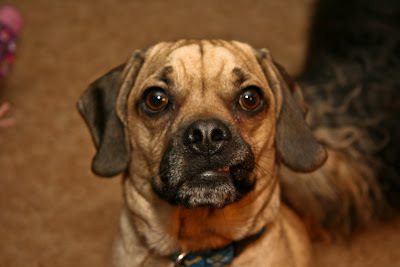 Hi Duke my name is Keiko (key-ko) and Im a puggle too!! Ive been reading your blog and I would love for us to be friends my blog is at keikofoxx.blogspot.com I hope to hear from you soon!! 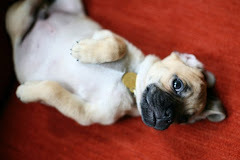 Oh my gosh, your pictures are so cute. I like the one with Jersey, so funny. 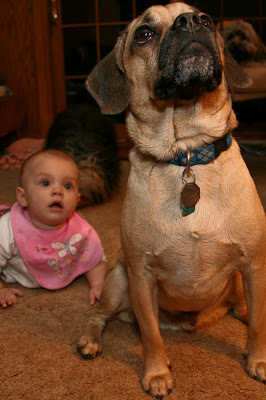 I would love to add your blog to my Puggle site. 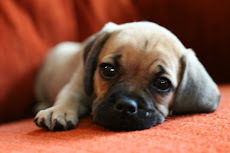 I am adding puggle breeders and also a page about puggle blogs! I think you two will be fast friends! she sure is a cutie just like you! happy holidays!